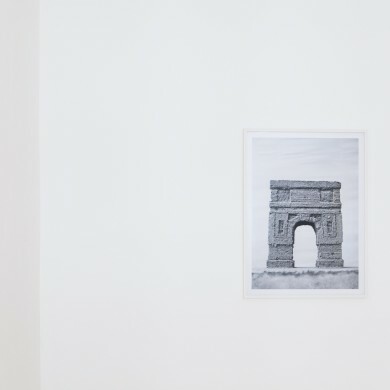 The exhibition “Arc of Memory” presents the works of six artists represented by ZAHORIAN & VAN ESPEN Gallery. 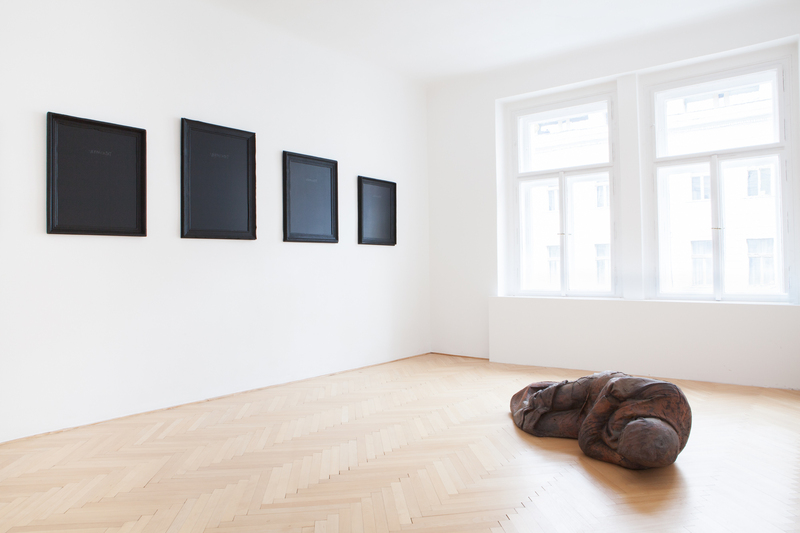 It is the first exhibition held in the new exhibition space opened in Prague by the gallery, which was established in 2011 in Bratislava. 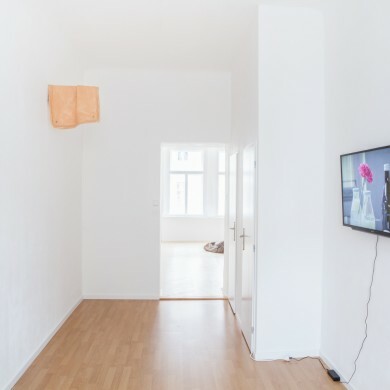 The exhibition aims to present to the Czech public a layered overview of artists’ works rich in both media used and ways of expression in general while giving the presented whole an organic unity. 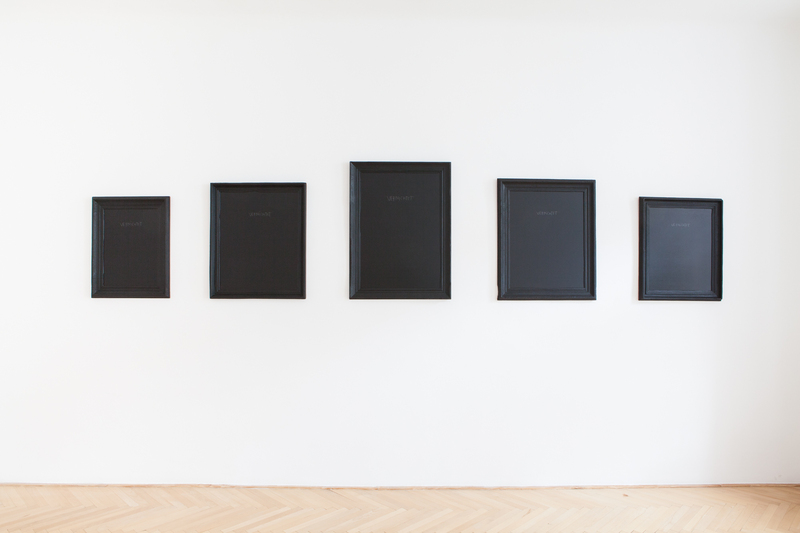 The six artists chosen out of the thirteen gallery’s resident artists come from the younger generation born between 1979-1985. 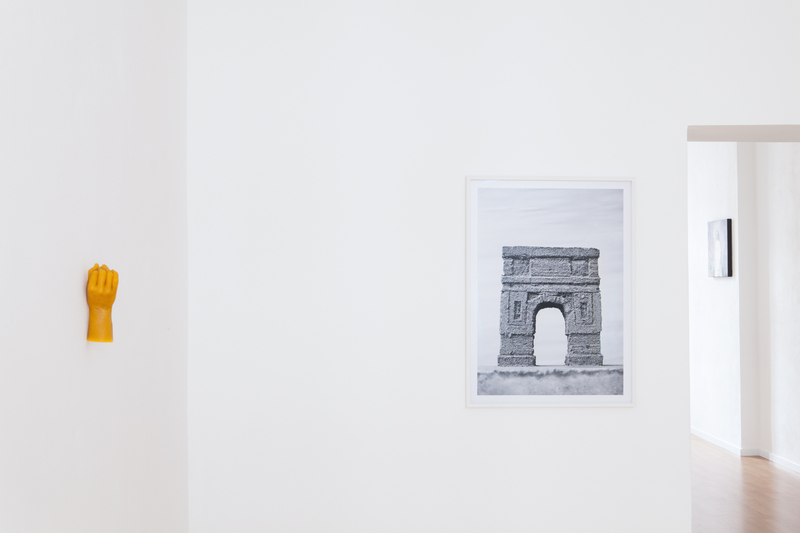 The subtle connecting thread that runs through the presented works is the interest in the topics of history, memory and remembering which are dealt with in various perspectives ranging from the categories of the universal and the public to the personal and the intimate. These themes manifest themselves naturally in the work of the artists, whether they are addressing them explicitly or in a subliminal manner. 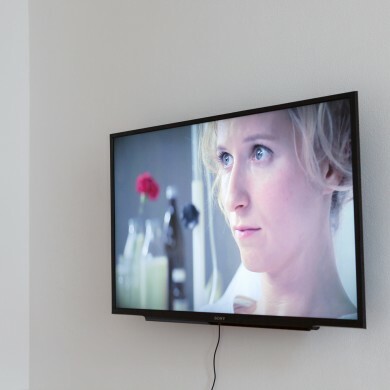 One can indeed speculate about the generational and thematic commonality between the artists. Hynek Martinec (1980) often draws the motives of his precise, hyperrealistic painting from the classical art, while the black and white palette references old photography that provides the second main source of Martinec’s inspiration. He works predominately in the genres of the portrait and the still-life, which often evokes the iconography of the so called memento mori and vanitas. The exhibited painting titled Fairy Tale for Little Horn (2014) is in a way a combination of both: a monochromatic portrait of a girl holding a long candle – one of Martinec’s favourite motives – takes us to the era between the 19th and the 20th century when photography albums served as family chronicles. The undeniable tenderness in such images is always accompanied by the melancholy of the memory frozen in time that is irrevocably gone. 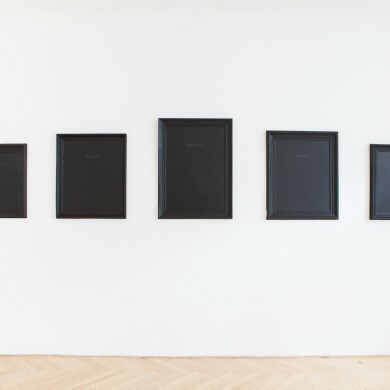 Five black paintings by Raphaël Denis (1979) come from the larger series Vernichtet (2015) which is a part of his cycle titled La Loi normale des erreurs (The Normal Law of Errors). In this cycle, which also includes Project Picasso or Transfer place (both 2015), Denis deals with the issue of irrecoverable loss of classical art works by famous artists of the past. Major event that led to such loss was the burning of the so called ‘degenerate art’ in the Parisian museum Jeu de Paume in 1943 by Nazis. Works of artists such as André Masson, Erich Heckel, Max Ernst, Salvador Dalí and many others were lost to the flames. The recurring inscription on Denis’ painting, which could be translated as ‘destroyed’ but also as ‘exterminated’, reminds us that the artworks were destroyed not only for their alleged degeneracy but also because of the racial background of their authors or their owners, who were also supposed to be exterminated. The same historic period is addressed in Jaroslav Kyša’s piece Pamětní deska (Commemorative Plaque). 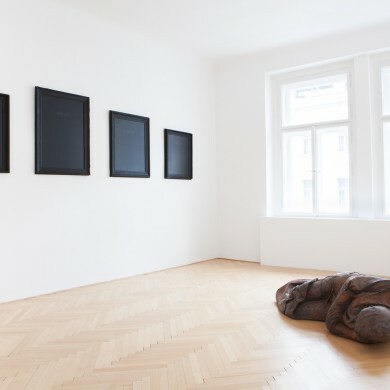 Better known version of this work had been exhibited as a site-specific installation at the Oskár Čepan Award finale in Žilina. 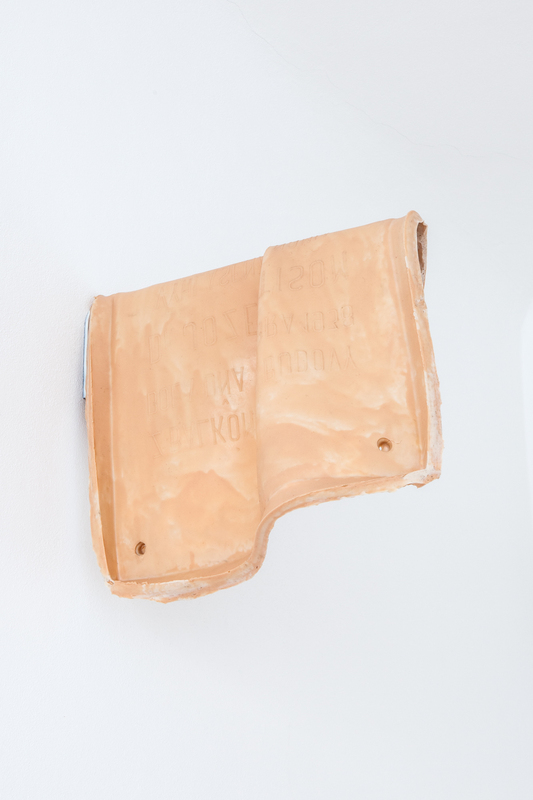 It is a cast of an actual plaque from a local building bearing a notice that at this place Josef Tiso declared the Nazi sanctioned independence of Slovakia in October 1938. Unlike Denis, who works with themes universally accepted as important to remember and commemorate, Kyša is returning to a dark chapter of his country’s history which would be preferred by many to be forgotten. 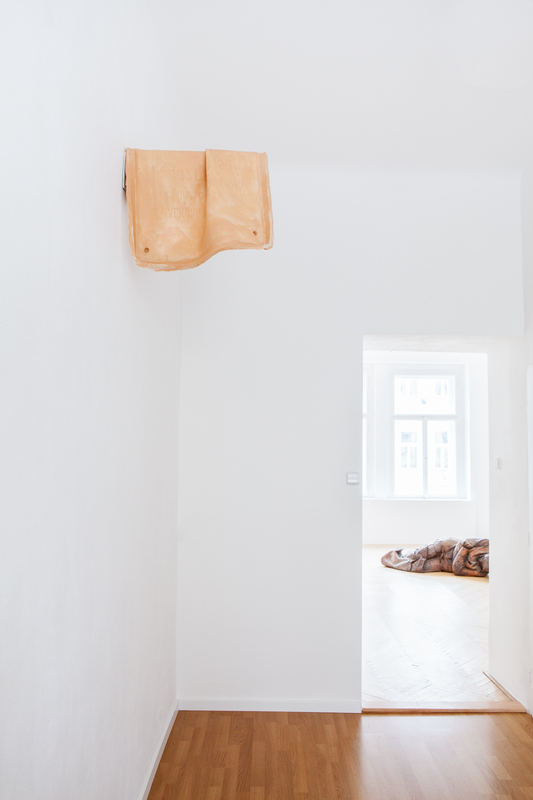 The plaque in his Žilina installation was set up to rotate rapidly when approached so the text it bears couldn’t be read. The silicone version displayed today hides the inscription by its rotation and overlaying, and doing so it shows how historic facts can be manipulated through confusion. 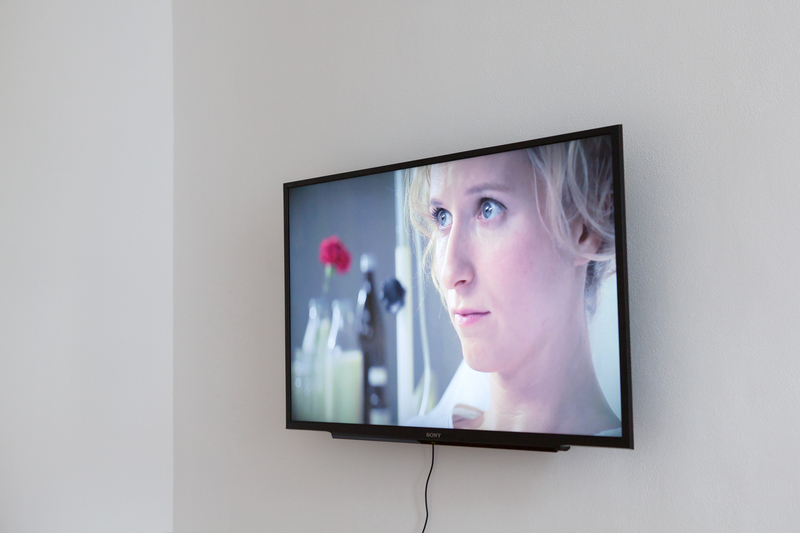 Manipulability of memory is also a subject of Adéla Babanová’s film Odkud spadla letuška (From Where the Flight Attendant Fell, 2014). Her short picture, which formally evokes a documentary drama, is again based on a real event – the 1972 airplane crash near Česká Kamenice. The fall from a great altitude was survived by single person, a flight attendant Vesna Vulović, who would became the event’s only living witness – but she had lost her memory. In her film Babanová thus chooses to deal with fallibility of memory but also in the context of the external manipulation by the powerful but in the context of the individual psychology of the witness. She explores the uncertainty of ‘direct testimony’ and how we are often precisely in the most important moments struck with fatal amnesia. 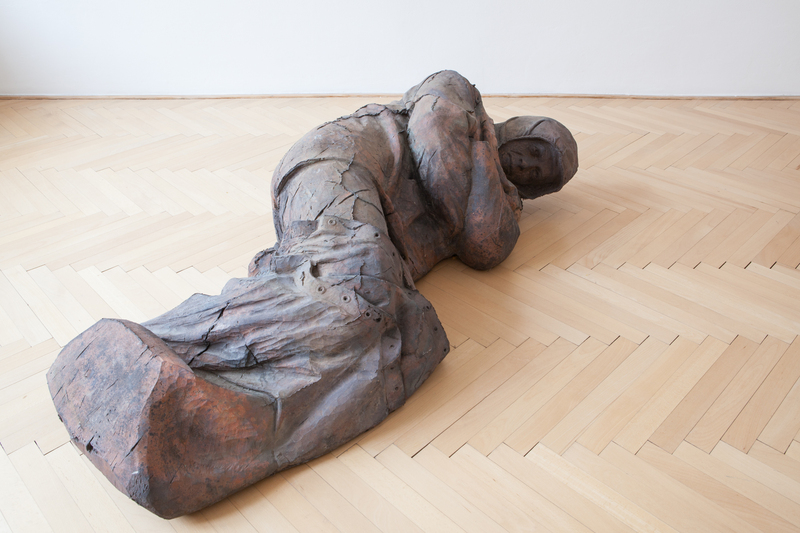 Štefan Papčo (1983) is an artist with passion for mountaineering which is a longstanding inspiration for his sculptural practice. Memory plays a vital role during mountain climbing – climber needs to study his route beforehand and remember the difficult or significant points and segments. Even more important, however, is a kind of physical memory which consists of all the habitual and automated steps and moves that doesn’t need to be thought about but are deeply ingrained in one’s brain. In the same way a pianist can mentally exercise playing on his instrument without having it physically available, a climber remembers the moves of his body on the rock even when he’s not there. 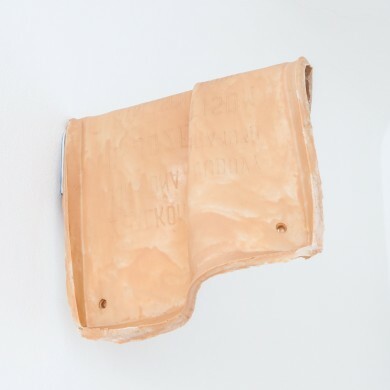 This is depicted by the series of wax casting of hands that Papčo made for his installation Kumulace (Cumulation, 2016) for GMU in Roudnice nad Labem. 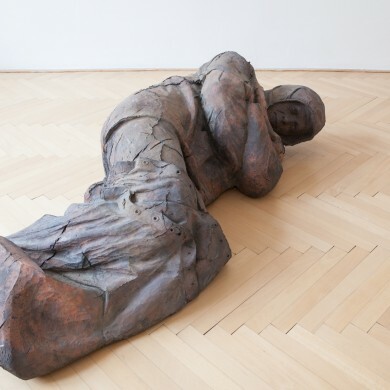 The sleeping bronze figure in a sleeping bag is part of the Citizens cycle (2014) created as a tribute to his fellow mountaineers and a memory made eternal. In her photographic work Lucia Sceranková (1985) frequently returns to the problem of depiction and to the moment of deception and illusion. The feeling of strangeness or ‘error’ that strikes us in many of her pictures comes among other thing from the way our experience influences or biases our future conclusions. Only because the situations we live through are constantly inscribed in the ‘databases’ in our heads we can experience picture as a picture and understand that even the most realistic depiction of a fireplace won’t be able to warm us. 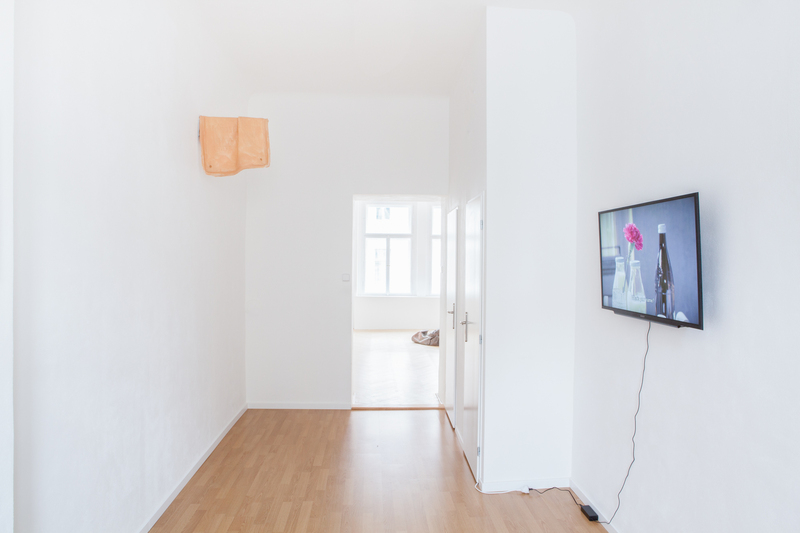 Such inner conflict is displayed in the picture For every high there is a low (2016) which the Sceranková sees as a commentary on the current triumphalism in society. Success and its flaunting to others is a driving force of individuals and groups, but at the same a mindless force that can destroy us. 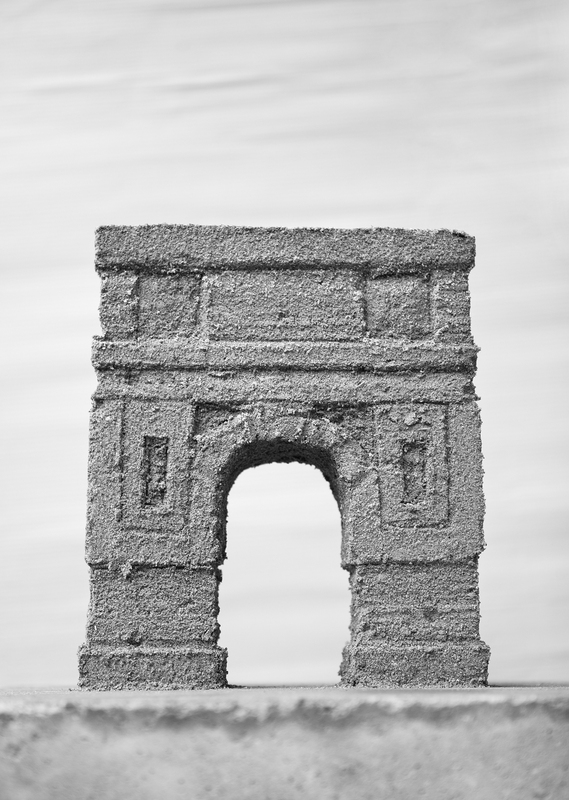 Many triumphal arches built out of a desire for immortality are actually made from sand. 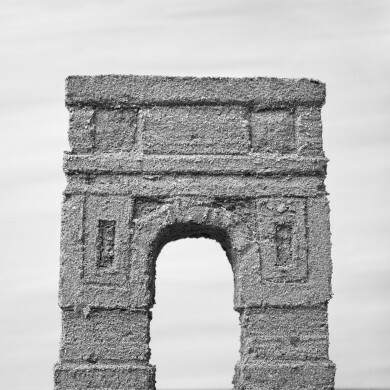 The artists’ interests in history and the preservation/loss of memory, even though variously motivated and represented, come together (among others) in their dealing with motives of transience, destruction and death. They remind us of the frailty of all values, power structures, cultures and our own lives. Memory doesn’t exist without time and time fundamentally means disintegration. The arc of memory thus spans from an event to its forgetting and one of the possible goals of Art is precisely to resist such forgetting.